"National Agricultural Library" redirects here. For other uses, see National Agricultural Library (disambiguation). The United States National Agricultural Library (NAL) is one of the world's largest agricultural research libraries, and serves as a national library of the United States and as the library of the United States Department of Agriculture. 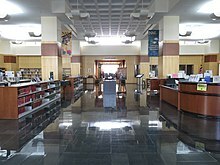 Located in Beltsville, Maryland, it is one of five national libraries of the United States (along with the Library of Congress, the National Library of Medicine, the National Transportation Library, and the National Library of Education). It is also the coordinator for the Agriculture Network Information Center (AgNIC), a national network of state land-grant institutions and coordinator for the U.S. Department of Agriculture (USDA) field libraries. NAL was established on May 15, 1862, by the signing of the Organic Act by Abraham Lincoln. It served as a departmental library until 1962, when the Secretary of Agriculture officially designated it as the National Agricultural Library. The first librarian, appointed in 1867, was Aaron B. Grosh, one of the founders of the National Grange of the Order of Patrons of Husbandry. NAL's Abraham Lincoln Building in Beltsville, Md. NAL was established as the U.S. Department of Agriculture Library on May 15, 1862, by the signing of the Organic Act by Abraham Lincoln. In 1863, the library's collection comprised 1,000 volumes that had been transferred from the U.S. Patent Office's Agricultural Division. By 1889, the library's collection had increased to 20,000 volumes, and a librarian from Amherst College was hired to create a classification system for the library's collection. At this time, the library was located on the second floor of the Department of Agriculture's main building. In 1893, William Cutter was hired as Librarian of the Department, and he began a reorganization effort to modernize the library and improve its effectiveness. His primary achievement was consolidating the library's collection of 38,000 volumes into one central library; previously, more than half of the library's collection was held in divisional libraries across the United States. 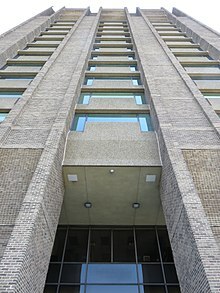 By 1900, the library's collection contained 68,000 volumes, and in 1915, the library was moved to a larger facility in the Bieber Office Building at 1358 B Street SW, Washington, DC. The library moved again in 1932 to facilities in the USDA's South Building on Independence Avenue. In 1934, the collection reached 250,000 volumes in size, and the library began participating in the Bibliofilm Service, which, along with the American Documentation Institute and the Science Service, supplied microfilm copies of articles to scientists. This was the first large-scale attempt by a library to provide copies of library materials to patrons rather than the original documents, and during its first year, over 300,000 copies were distributed. During World War II, the Department of Agriculture underwent reorganization to address wartime needs. The library, which had been decentralized since 1920, was consolidated into a central facility under the direction of Department Librarian Ralph R. Shaw. On May 23, 1962, the 100th anniversary of the library's establishment, Secretary of Agriculture Orville Freeman officially designated the library as the National Agricultural Library, making it the third national library in the United States. In 1964, funds were appropriated by Congress to begin planning for a new library facility in Beltsville, Maryland, on the grounds of the Beltsville Agricultural Research Center. Construction on the new facility began in 1965, and it first opened in 1969. In 2000, Secretary of Agriculture Dan Glickman designated the building as the Abraham Lincoln Building. 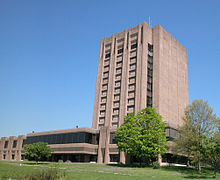 The main library is housed in the Abraham Lincoln Building, a seventeen-story facility on the grounds of the Henry A. Wallace Beltsville Agricultural Research Center in Beltsville, Maryland. NAL also operates a Washington, D.C., branch known as the DC Reference Center, which is located in the USDA's South Building. Ag Data Commons is a repository and catalog for scientific datasets that are associated with publications by the USDA's agricultural research service and other institutions. The repository is currently in beta release. Hosted by the National Agricultural Library, the U.S. Life Cycle Assessment Commons (LCA Commons) is a collaboration among federal agencies, private industry, and academic researchers. The intention of LCA Commons is to aggregate and archive life cycle inventory data that represent US economic activities, making it freely available for re-use. The i5k [email protected] provides genome projects resulting from the i5k initiative with a space to display and share genome assemblies and gene models. In particular, the Workspace is geared towards research groups that do not have the resources to display the genome assembly and its features. NAL maintains AGRICOLA (AGRICultural OnLine Access), the largest bibliographic database of agricultural literature in the world. It contains more than 4.1 million records for publications dating as far back as the 15th century. 78 percent of the records are for journal articles and book chapters, while 22 percent cover full-length books, journals, maps, electronic resources, and audiovisual materials. The database indexes publications from many disciplines related to agriculture, including veterinary sciences, entomology, forestry, aquaculture and fisheries, economics, food and human nutrition, and environmental sciences. AGRICOLA originated in 1942 as the Bibliography of Agriculture, a printed index of article citation records. It was first digitized in 1970, when records were placed on magnetic tapes rather than reproducing them manually. The name was changed to AGRICOLA at this time, and the records were made available through database vendors such as Dialog and OCLC. In 1998, it became available to the general public for free on the World Wide Web. The library's Special Collections houses rare materials related to the history of agriculture, including books, manuscripts, paintings and drawings, seed catalogs, agricultural photographs, and posters from the 1500s to the present. The subjects covered include horticulture, entomology, poultry sciences, and natural history. Within the Special Collections, the Pomological Watercolor Collection holds over 7,500 original watercolors on botanical subjects created by USDA artists between 1886 and 1942, almost half of which are apples. It is a unique resource documenting new introductions of fruit and nut cultivars as well as specimens discovered by USDA's plant explorers, representing 38 plant families in all. Some of these watercolors were published in the Yearbook of the United States Department of Agriculture in the 1902–1913 period, but many were never published at all. Some 65 different artists are represented in the collection, of whom one-third were women. Just 9 of the 65 are responsible for more than 90% of the total: Deborah Griscom Passmore (over 1500 watercolors), Amanda Newton (over 1200), Mary Daisy Arnold, (over 1000), Royal Charles Steadman (over 850), J. Marion Shull (over 750), Ellen Isham Schutt (over 700), Bertha Heiges (over 600), Elsie E. Lower (over 250), and William Henry Prestele (over 100). Many of the pictures in the Pomological Watercolor Collection are available online through the library's Digital Repository (see link below). The NAL Digital Repository, created in April 2006, serves as a digital archive of historical USDA documents. The repository contains over 600,000 pages of digitized texts. Publications contained in the repository include the issues of the Journal of Agricultural Research from 1913–1949 and the archives of the Yearbook of the United States Department of Agriculture dating back to 1894. ^ a b c d e f g h i j k Fusione, Alan E. 1988. The history of the National Agricultural Library. Agricultural History 62(2):189-207. ^ a b c Learn About NAL. June 2008. Retrieved on 2008-12-05. ^ Key NAL Personnel and Services. National Agricultural Library website. Retrieved on 2015-10-31. ^ a b c d Paskoff, Beth M. 1990. History and characteristics of agricultural libraries and information in the United States. Library Trends 38(3):331-349. ^ National Agricultural Library Annual Report for 1993. U.S. Department of Agriculture, Beltsville, Maryland. 1994. Retrieved on 2008-12-15. ^ National Agricultural Library 2000-2002. U.S. Department of Agriculture, Beltsville, Maryland. 2002. Retrieved on 2008-12-15. ^ Library of Congress Announces New Asian Division Chief. Library of Congress (press release). 2008-10-23. Retrieved on 2008-12-15. ^ Dr. Simon Y. Liu Named New NAL Director U.S. Department of Agriculture, Beltsville, Maryland. 2010. Retrieved on 2010-01-20. ^ Appointment of Paul Wester as New NAL Director. Retrieved 2015-10-31. ^ DC Reference Center. National Agricultural Library website. Retrieved on 2008-12-22. ^ Announcement by the USDA/ARS. Retrieved on 2015-11-01. ^ AGRICOLA a useful database on agriculture, veterinary science. Journal of the American Veterinary Medical Association. 2001-10-01. Retrieved on 2008-12-05. ^ a b Specifications for cataloging and indexing records from the National Agricultural Library. National Agricultural Library. July 2006. Retrieved on 2008-12-05. ^ a b White, James J., and Erik A. Neumann. "The Collection of Pomological Watercolors at the U.S. National Arboretum". Huntia: A Journal of Botanical History 4:2 (January 1982), pp. 106-107. ^ Kevles, Daniel J. "How to Trademark a Fruit". Smithsonian, August 2011. ^ About NALDR Archived 2009-01-15 at the Wayback Machine. National Agricultural Library. Retrieved on 2008-12-22. This article incorporates public domain material from websites or documents of the Library of Congress. 1862 establishments in Washington, D.C.